Seems like technology is seeping into the world of direct mail, and this time it’s the younger generation that’s at work. So often we hear of technology innovating on top of itself to make faster, more efficient and productive models. In a recent initiative lead by Visa, we see an example of how technology is boosting direct mail marketing, one of the most traditional forms of marketing today. Back in March of this year, Visa set a challenge to the startup community to boost three different aspects of the company’s offerings. One was to find a way to inspire the millennial generation, which now makes up the largest part of the American population. The next challenge was towards high-income clients to utilize Visa’s signature credit card rewards. And the last test was to increase usage of a year-old online payment platform called Visa Checkout. Close to 400 entries were sent in to address each of these challenges and three winners were recently chosen, one for each initiative. The one that’s of most intrigue for our purposes is the startup that created an innovative way to further engage consumers with direct mail. The most difficult thing for any marketer to accomplish is to get their content noticed. This is true of direct mail as it is with all other forms of marketing. The winner of the Visa signature portion of the competition found a way to add meaning to direct mail pieces and made it difficult for any mailers to be thrown in the trash. The winner’s name was Flag, and he created an app that prints and mails smartphone pictures for free. Advertising from brands on the back of these pictures is what allows the app to remain at no charge. As financial firms are one of the largest distributors of direct mail pieces, it’s an inventive way to ensure the pieces that are sent have some meaning to the consumer. It may or may not be surprising that big corporations like Visa are still looking for ways to improve their direct mail marketing, seeing as how we are living through the digital era. But the fact of the matter is that direct mail marketing still works, and financial institutions know it. They depend on direct mail heavily to communicate with existing clients and to reach out to new targets. And so, the attention spent given to innovation is more than worth it. 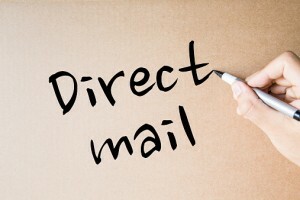 It’s no accident that direct mail marketing has been able to sustain through the digital era, and it’s certainly no accident that Macromark has as well. We’re great at executing direct mail campaigns, starting with providing lists of potential targets. For more information on what we can do for you, please visit our web site.